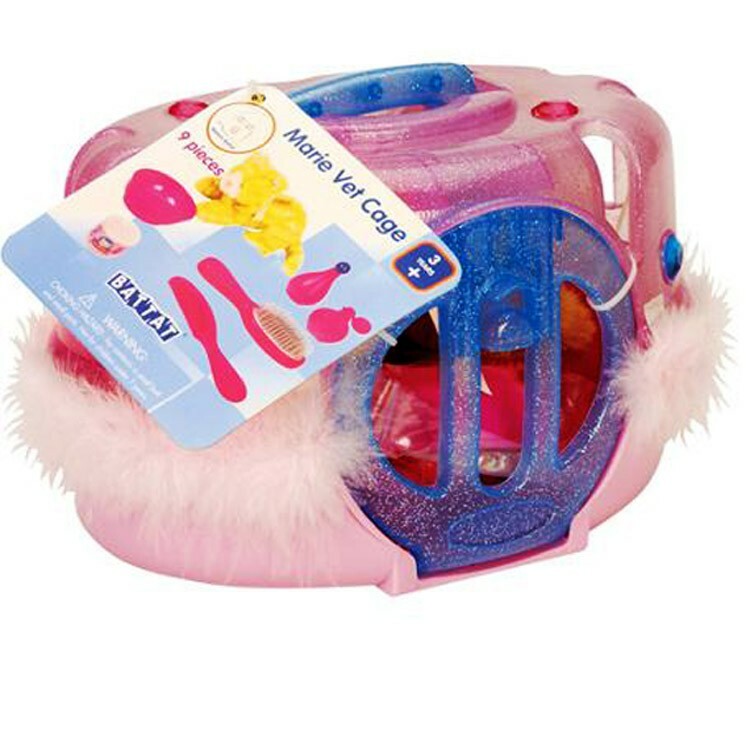 This adorable Traveling Cat playset teaches the kitty lovers how to groom and feed them, plus have a great with your pet! 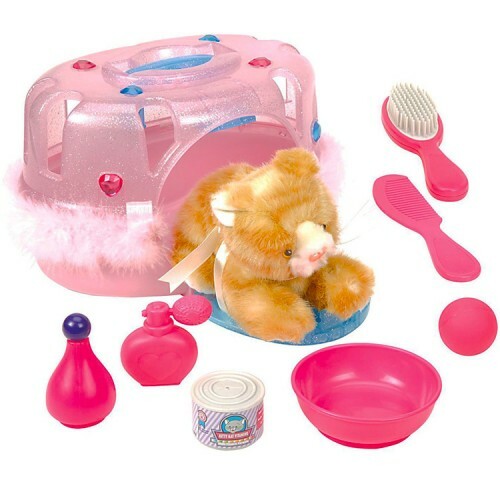 Girls will love this adorable cat care kit! 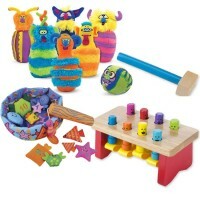 Toy Travel Cat Care Kit brings everything your little kitty lover needs to provide the best care for her pet on the go. 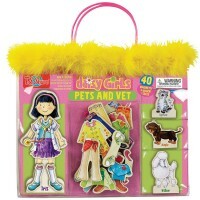 The traveling cat set features a pet carrying crate in girls favorite pink color with feather accent. 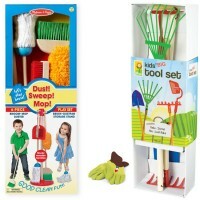 Open the cat vet cage and find a plush kitty and all the tools you need to maintain your toy pet healthy and pretty. 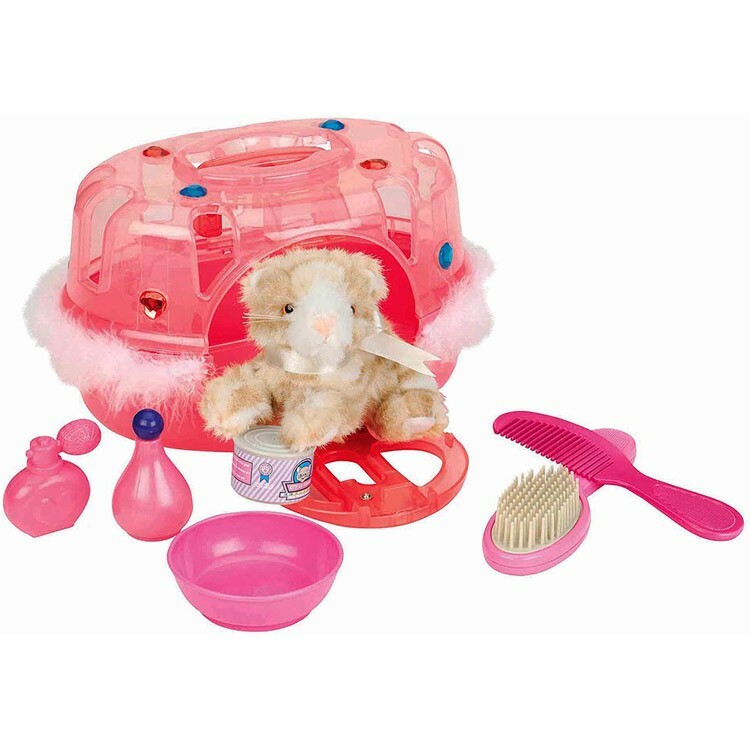 This pet care set includes a comb, brush, bowl, perfume bottle, shampoo bottle and can of pretend cat food. 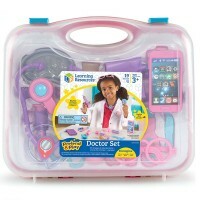 With the Toy Travel Cat Care Kit from Educational Toys Planet children can play a vet or kitty owner at home, grandma's house, or on the go. 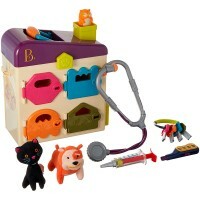 For a complete imaginative pet care office, add Vet Case Toy Dalmatian Veterinarian Kit to have both a cat and a dog, grooming and medical pet tools. 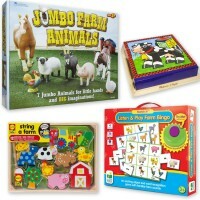 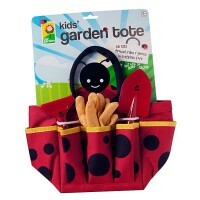 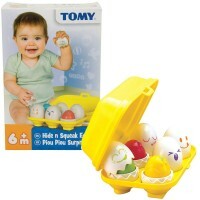 The toy cat travel crate set is one of the most popular holiday or birthday gift for preschool girls. 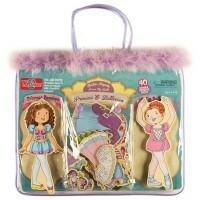 Dimensions of package 6.25" x 10.25" x 6.5"
Write your own review of Toy Travel Cat Care Kit.